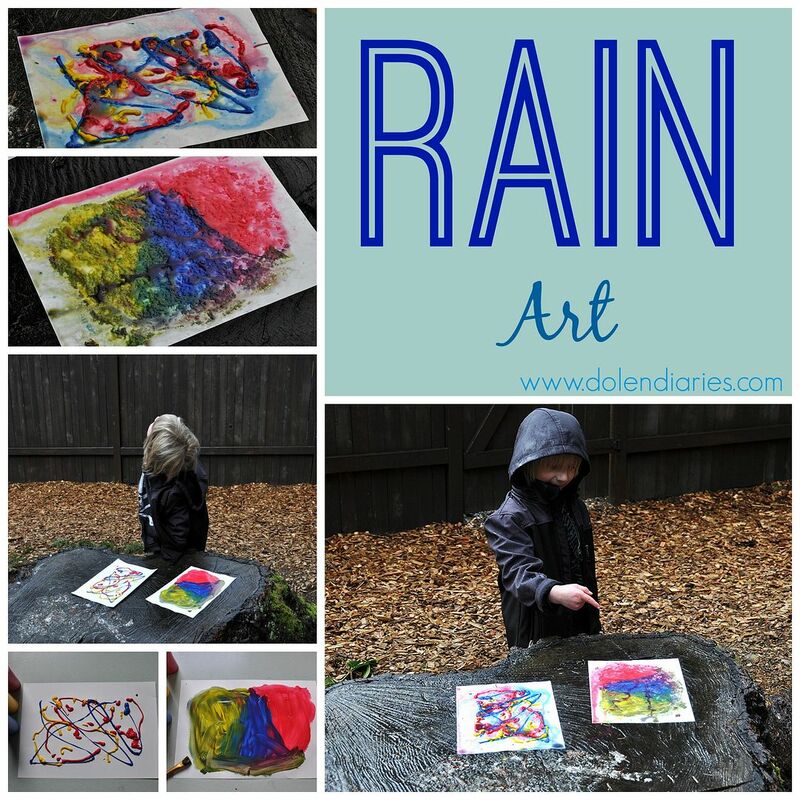 I try to do something creative with the littles everyday and since we’re getting a jump start on the April Showers I thought it would be fun to do a little rain art. 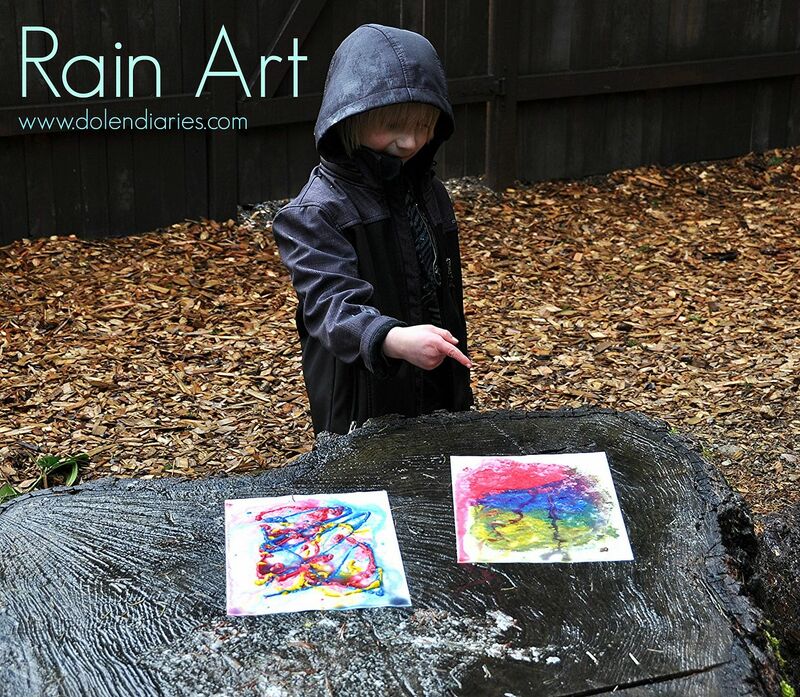 Rain art is all about the process and observation. 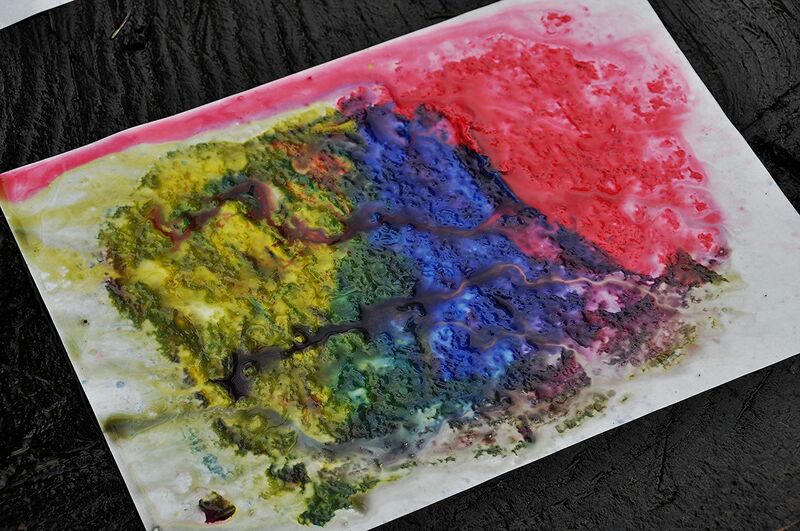 Basically you put paint on a piece of paper, set it out in the rain, and see what happens. 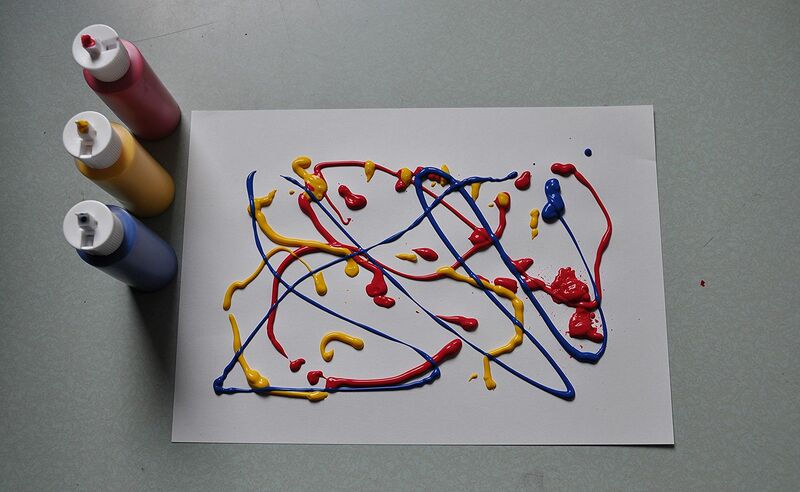 To begin our rain art, Ash squeezed a red, yellow, and blue paint design on a page. 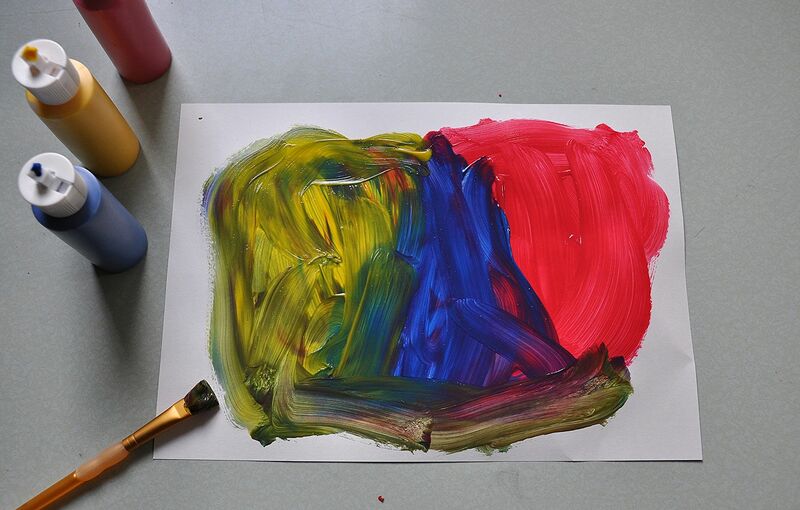 He then wanted to do a second one but this time mix all the colors together with a brush. *The whole time he was doing this it was pouring outside. 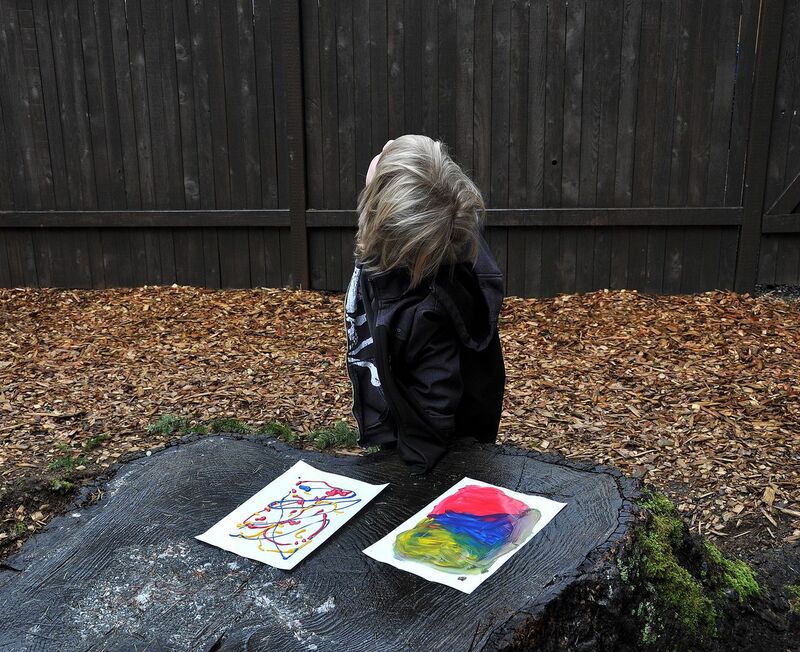 We took both papers outside and set them on a tree stump. I kid you not, as we opened the sliding glass door the rain stopped. Doesn’t that just figure!?! As soon as we want the rain, it goes away. So Ash did some swinging while he waited patiently for the rain to return. Thankfully, we only had to wait about 10 minutes before some drops started to fall. The rain fell slowly at first not giving us a lot of change to look at but as the rain picked up things got more interesting. It was kind of mesmerizing to watch the drops hit the paper like watching a log burn in a fire pit. This was Ash’s favorite because he thought it looked like there were huge cracks ripping through the paint. 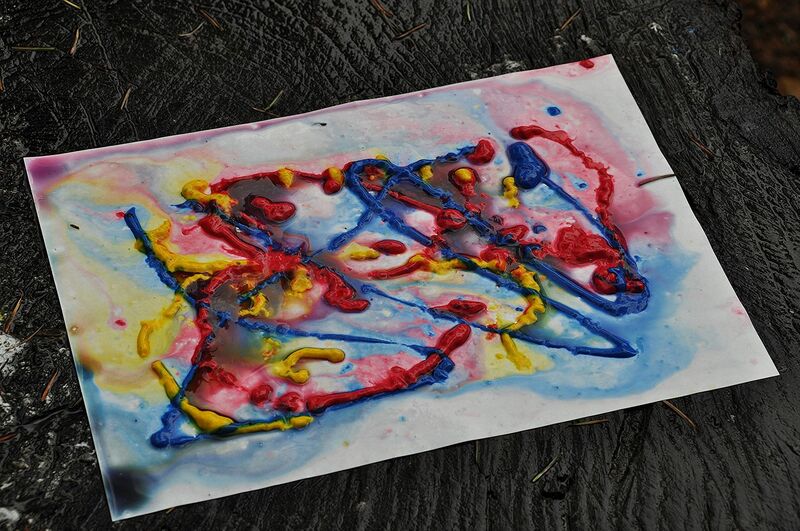 I preferred this one because the paint run off made a pretty oil effect around the edges of the paper. What I really liked best about this project was standing out in the rain with my 6 yr old listening to his predictions of where the rain would take the paint and what he saw in those streams. “Look the paper is cracking!” “The snakes are getting squashed by the rain drops.” So while there wasn’t an official end product, the rain ended up falling so hard that the paper got totally water logged and stuck the to the stump ripping when I tried to peel it off, it was a successful creative time because I slowed down and enjoyed a small part of a rainy afternoon with one of my favorite people. Sadly, I don’t just sit and listen nearly enough. I need to make more time to do that. I hope you get some time to just sit and listen to your kiddos this week. What an awesome idea, I love it! I am definitely going to have to try this with my son. We get a lot of rain where we live, so why not make the most of it! I wonder if there is a way to keep the paper in the end.. hmm! Kenzie, I think had it not ended up raining so hard and had we not stayed out there so long we could have easily saved the paper. 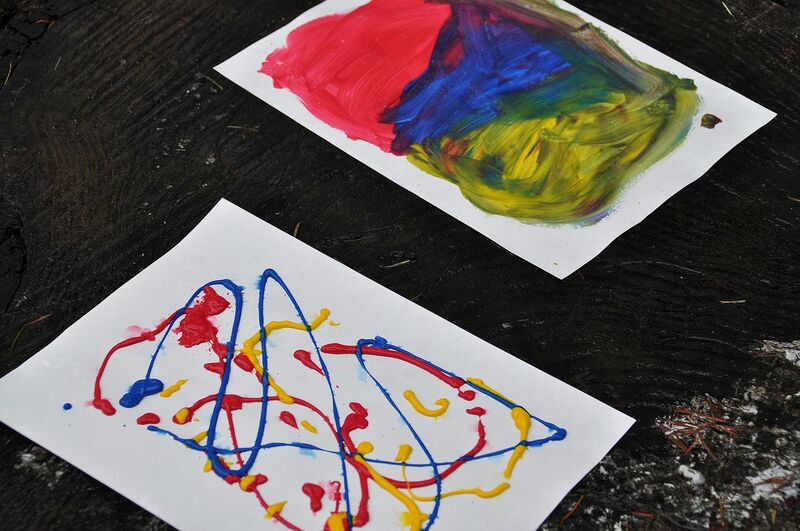 Fun…I’m always at a loss on what to do when the boys want to go outside on rainy days. They’ll love this! 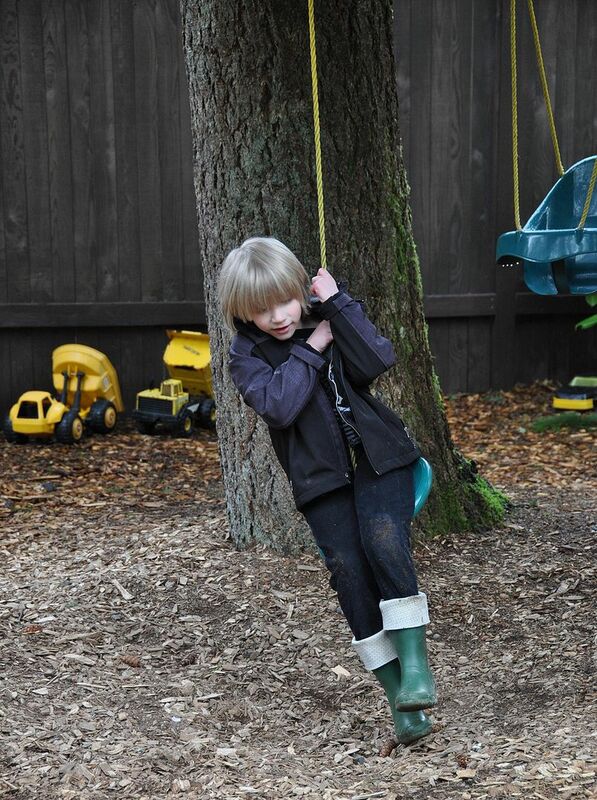 You know how our boys love to be outside rain or shine! I love this idea. It is supposed to rain all weekend, but the kids are sooooooooo sick of being inside. I think we will give this a try. Thanks for sharing. We might have to call it “Snow Art” up here in April, but either way, what fun! I pinned it to try soon!